How does chronic copper poisoning (CCP) occur? 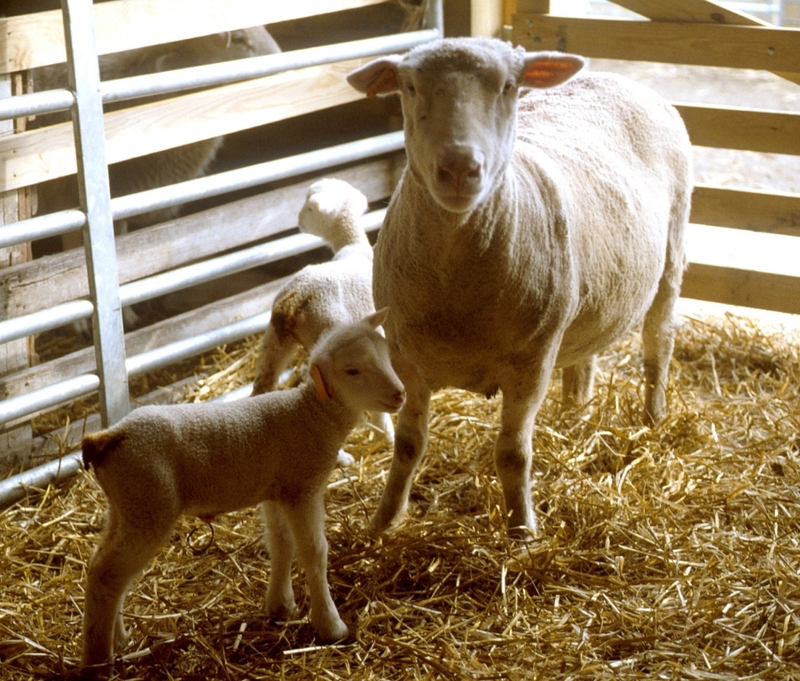 Sheep are the domestic animal most prone to CCP. They absorb copper from the diet in proportion to the amount of copper offered, not to the body’s need as with the absorption of other minerals. Any excess absorbed copper is stored in the cells of the liver, eventually reaching toxic levels. Levels in the liver above 500 ppm dry weight are usually considered toxic. This storage in the liver can take months or even years to reach a toxic level. The elimination of copper from the body through the kidneys is slow. Even then, it needs a stress to release the copper. This stress can be weather, poor nutrition, transportation or handling. The liver cells rupture, releasing copper into the blood stream. There are suggestions that excess liver copper can cause death and rupture of liver cells. Once the copper is in the blood stream in sufficient concentration, it causes haemolysis, a breakdown of the red blood cells (RBC). Up to 60% of the RBC’s circulating in the blood can be damaged. Their haemoglobin is released into the blood serum to be converted to methaemoglobin, a form of haemoglobin that cannot carry oxygen to the tissues. A sheep at this point is anemic, with very pale mucous membranes and lethargic. The visible membranes rapidly yellow as jaundice (icterus) sets in throughout the body. At post mortem all the tissues of a CCP sheep are pale to dark yellow. The kidneys are very dark, and the urine a bloody colour. 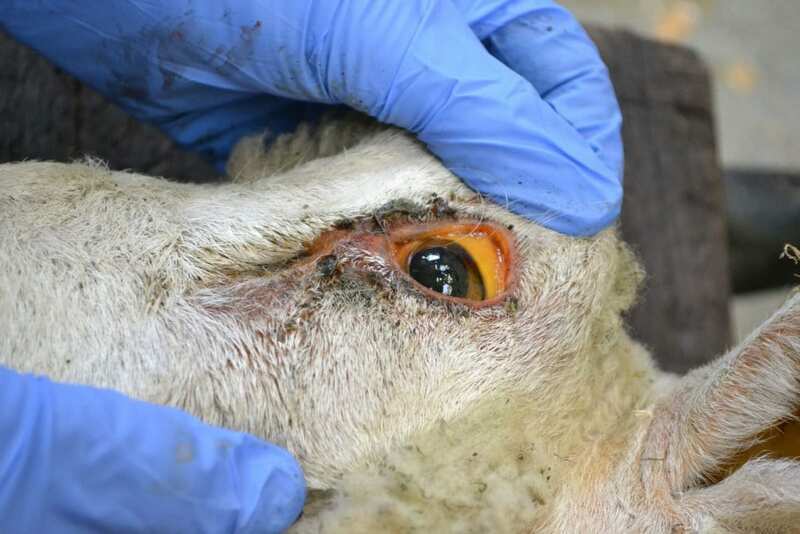 If the haemolysis is massive, sheep can die without showing any sign of jaundice. Once the diagnosis is confirmed, the question is “how did it happen?” Often by mistake, extra copper was added to the feed at mixing; orphan lambs were fed calf creep feed which contains copper. Then there are the less obvious sources. One recent case in Ontario was through the sharing of a custom mineral mix on two operations. This mineral had been fortified with copper because of a diagnosis of swayback, copper deficiency, in newborn lambs on the original operation. A neighbor thought that such a mix would help his flock, and proceeded to order the same mix from the mill. Luckily, the sheep advisor spotted the extra copper on the mineral bag “tag”, and had the mineral mix withdrawn before any symptoms appeared. As the stored liver copper has to be removed, the concentrate pellets now contain extra molybdenum to slow the uptake of copper from the gut, and allow the elimination of the body’s excess copper. The uptake of copper from the herbage is a complex interaction between the copper, molybdenum, sulphate, possibly other mineral and the herbage plants themselves. The normal level of copper in a plant is 10-20 ppm dry weight. If the molybdenum level is greater than 1 ppm, copper is not absorbed at toxic levels. High sulphate levels in the soil reduce the availability of molybdenum by tying it up as molybdenum sulphate. In a recent case where the diagnosis was CCP, the copper level in the herbage was 8 ppm but the molybdenum was only 0.5 ppm. Young growing plants tend to be lower in molybdenum than the mature. In one reported case, the source of the high herbage copper was traced to the spraying of pig manure to fertilize a sheep pasture. The pig slurry contained 85 ppm copper, from the normal dietary copper levels in pig feed. Both the soil and the herbage had high copper levels, which translated to the unexplained death of a number of ewes over the seven years when this slurry had been used. What should you do if you suspect CCP? First, get the diagnosis confirmed by your local veterinarian or diagnostic laboratory. Look for all the obvious sources of copper. Analyze the copper levels in all prepared feeds; ask yourself if a feeding mistake has been made, especially in a mixed cattle sheep operation. Have the copper and molybdenum levels checked in your pasture plants and hays. Try to avoid spreading pig manure on sheep pastures or hay. Usually, only a few animals die, but the survivors need immediate treatment. Getting molybdenum into them over an extended time will curtail the uptake of copper from the gut and allow the slow elimination of the body’s stored copper. Your veterinarian will be able to advise you on the dose and the preferred route of treatment for your flock. The RBC count soon returns to normal as new cells are produced in the bone marrow. Finding the source of copper in a CCP case can often be a very frustrating and protracted investigation. Getting an accurate diagnosis, and starting treatment are the first essentials. Once the sheep are receiving extra molybdenum they are protected against excess copper absorption, then you can search for the source. Posted by Braden Campbell at 8:00am October 9, 2018 Posted in Health and tagged Health, Management, Nutrition. Bookmark the permalink.